OCEANSIDE — Oceanside has begun annual maintenance work to its 1,942-foot pier. Each year steel support braces are replaced to ensure the pier holds up through winter storms and heavy use. The maintenance cycle to replace braces starts at the end of the pier, adds 70 or more new braces a year until all 2,000 braces are replaced, and then repeats. Currently about a third of the pier braces have been recently swapped out for new ones. This year the city is going big with a large replacement project of 133 steel braces, which carries a price tag of $455,500. The bid by Ballard Marine Construction priced 50 braces at $3,840 each, 100 braces at $3,450 each, and 150 braces at $3,425 each. “We decided to do a larger project instead of two smaller projects for economy of scale, to get better prices,” Kiel Koger, city public works division manager, said. 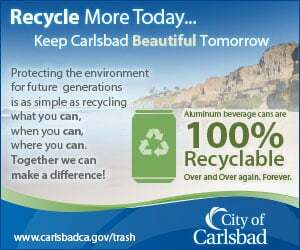 The city will save more than $55,000 by having more work done at one time. Ballard Marine Construction fabricated the custom steel braces in June. On-site maintenance work began Aug. 10. Scaffolding is currently being put in place at the work site, located past the pier bait shop. Once that is done, brace replacement will start and take about three months to complete. Mother Nature dictates the best time of year to do the work. During work half the width of the pier will be closed, as needed, for contractor equipment storage and operations. Pedestrians and vehicles will continue to have access to the full length of the pier. This is the city’s fifth pier. Oceanside’s first pier was built in 1888 at Wisconsin Street. Following a series of severe storms the pier was rebuilt at its present location on Pier View Way in 1894. Harsh weather continued to batter the pier, and it was reconstructed three more times in 1903, 1927 and the 1980s. At one point a fundraising campaign was held to help with repair costs. Boards that are part of pier guardrails hold the names of donors. 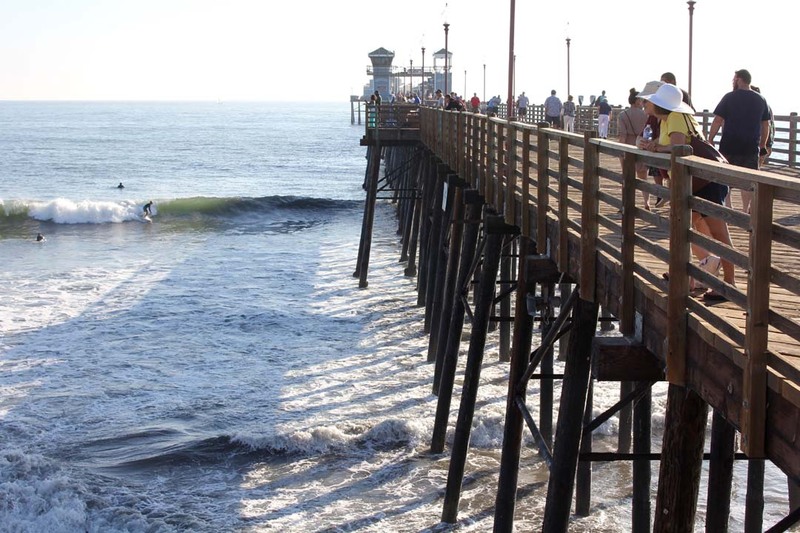 The pier remains an iconic city landmark, and is the location of the annual Labor Day Swim, Supergirl Pro and Oceanside Longboard Surfing Club surf contests, World Body Surfing Championships and other memorable events.